Besides that, there are the pre-order deals where you can deposit a small amount and get the product a lot cheaper. 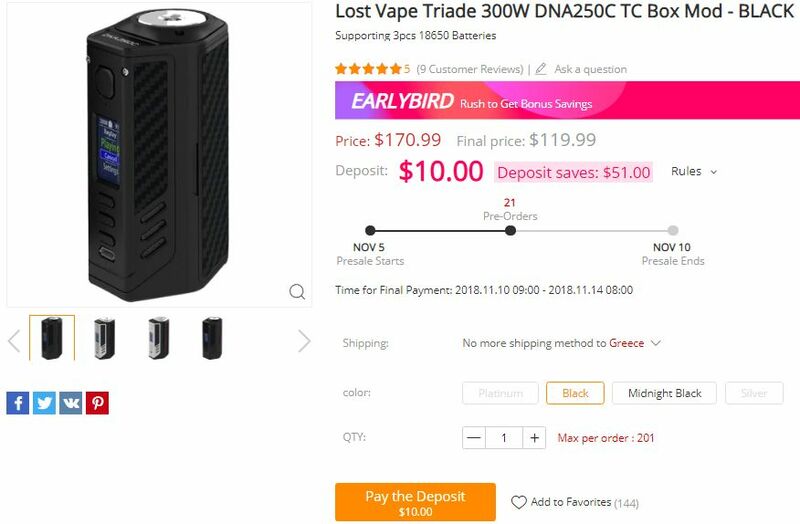 For example you prepay $10 for the Lost Vape Triade DNA and you get it for $119.99 instead of $170.99 (you have to pay within 24 hours). This is not like the usual long awaiting pre-orders because the items are almost immediately available. 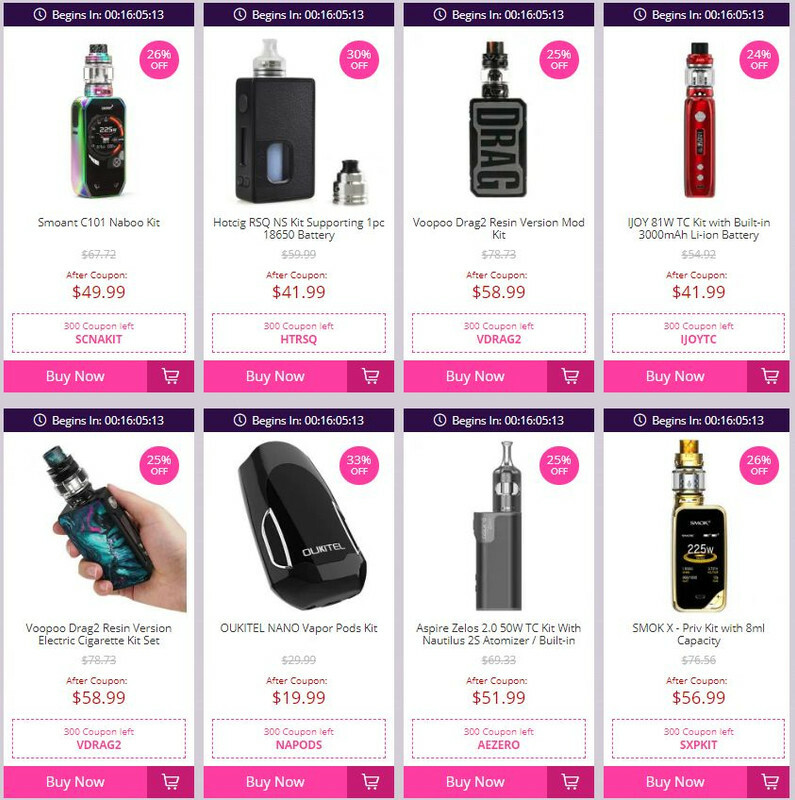 There’s also a coupon code section and a 5 day arrival page featuring vaping products ready to be shipped from European warehouses. 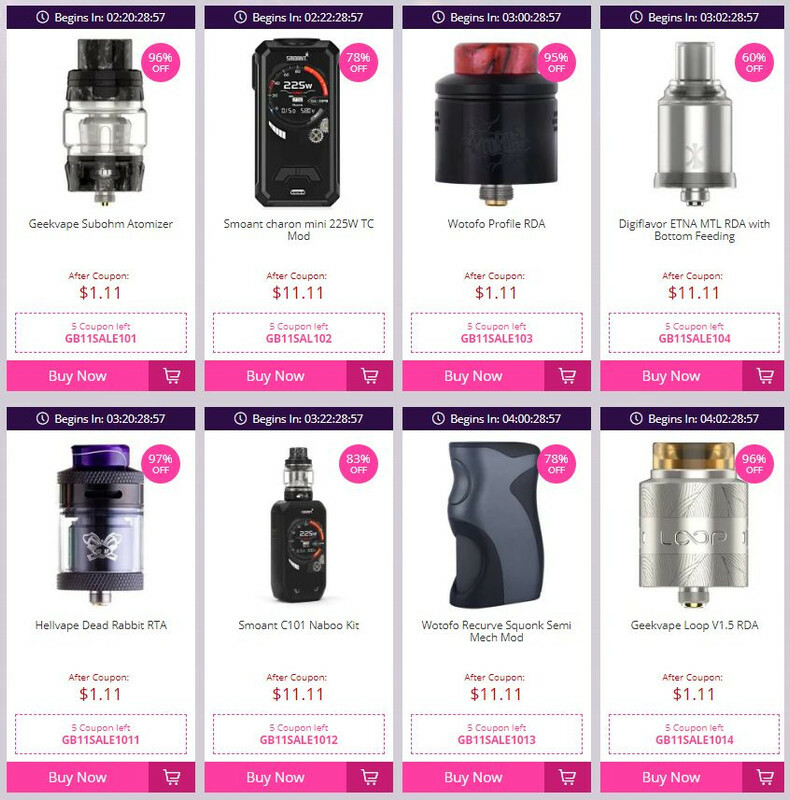 There are big discounts and flash sales for many vape devices and accessories too. Bookmark this page and visit regularly because the deals will be updated daily. I highly recommend you also take a look at the Double 11 Shopping Festival Guide. There are countless promotional events and you can score some pretty nice deals there too.